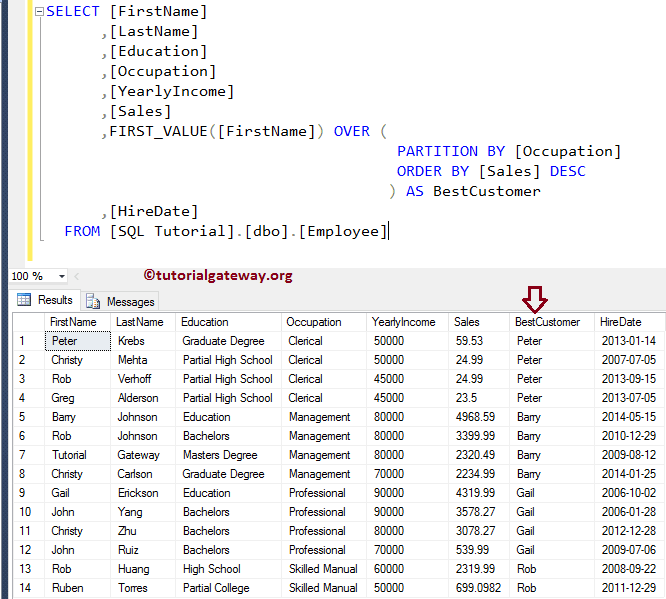 The SQL FIRST_VALUE is one of the Analytic Function in SQL Server. This function will return the First Value in each partition. Scalar Expression: It can be a Column, Subquery, or any expression that returns single value. 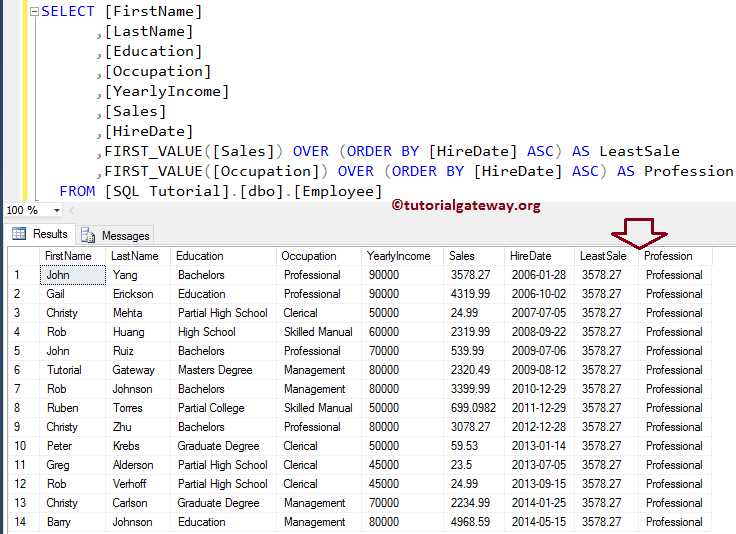 If you specified the Partition By Clause, then SQL FIRST_VALUE Function will select and display the first value in each partition. If you haven’t specified the Partition By Clause then, FIRST_VALUE Function will consider all the records as single partition. So, it will select the first record. 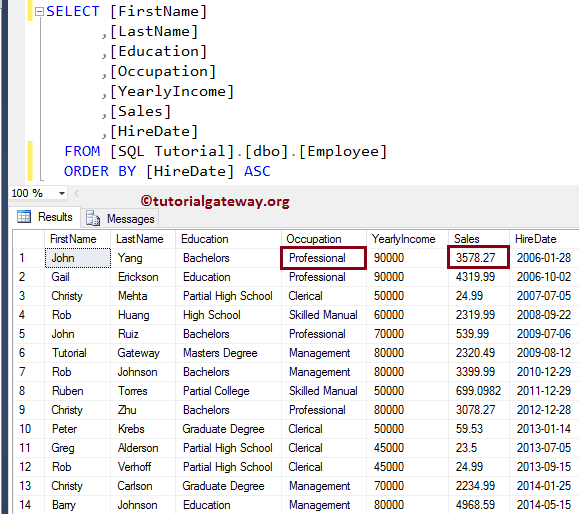 In this example we will show you, What will happen if we miss the Partition By Clause in the FIRST_VALUE Function in Sql Server. From the above screenshot you can observe that, Employee table has Occupation = Professional, and Sales = 3578.27 as the first column values. Now, SQL FIRST_VALUE function in the below code snippet will return those values as the output. The FIRST_VALUE in SQL Server allows you to select the first value in each partition. In this example we will show you, How to select the partitioned records present in a table. 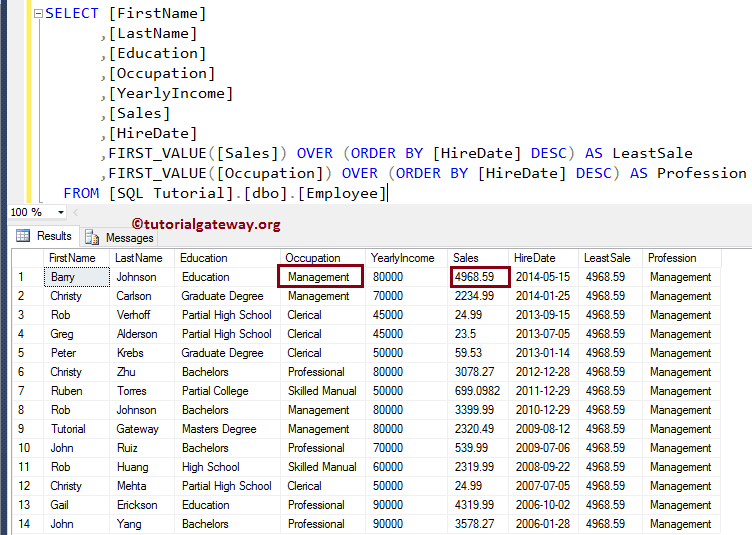 The following Query will partition the data by Occupation, and then select the first [First Name] value in each partition based on the Sales. 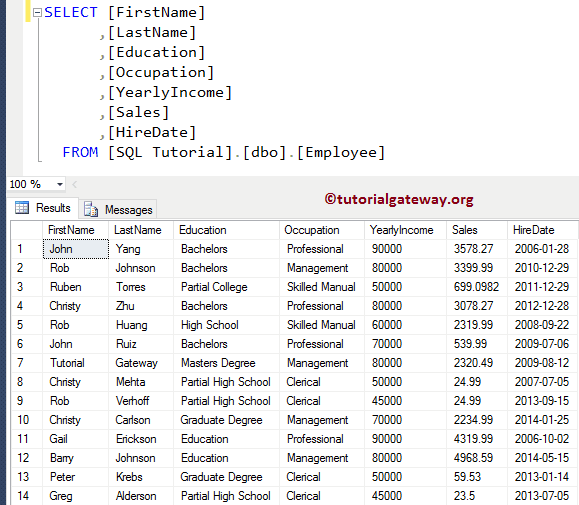 In the below statement we used SQL FIRST_VALUE Function with Partition by clause. It will select the first record from each individual partition.